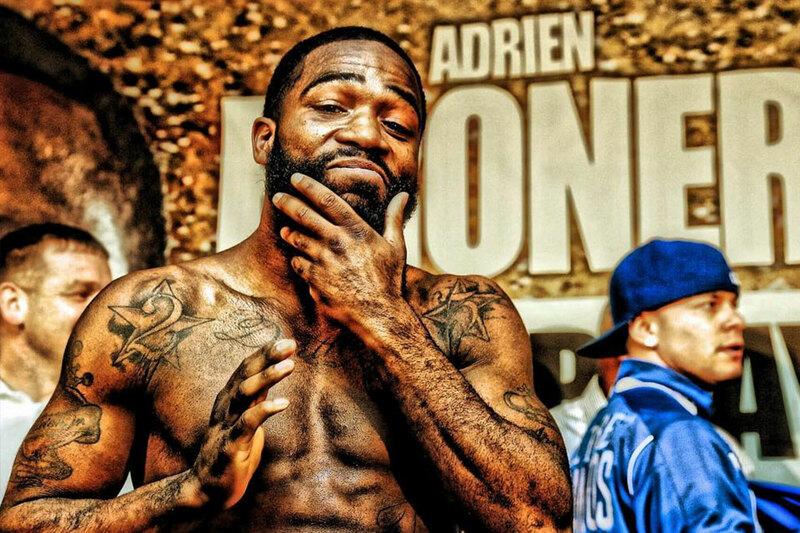 Boxer Adrien Broner was arrested early Thursday morning in Cincinnati on an open OVI warrant. Covington police took him into custody overnight after stopping a white Chevrolet Suburban crossing into Kentucky, according to police. Broner, who was unharmed in the incident, told police that he had been followed out of the G-Money Bar by an unknown suspect, who fired "several" rounds with his vehicle being struck eight times, according to police reports obtained by the Cincinnati Enquirer. Cincinnati officers believe Broner was involved in a fight at G-Moni bar on Queen City Avenue in South Fairmont, and Broner's auto was shot in the altercation, Saunders said. Broner was not injured. The open warrant was for a public intoxication charge from 2014. Broner's next court appearance is scheduled for April 27. Broner (33-2, 24 KOs), who has won world titles at junior lightweight, lightweight, junior welterweight and welterweight, is coming off a 10-round split decision win against Adrian Granados on February 18. Earlier this week, Showtime announced it was making plans to feature Broner in the main event of a card this summer. Only last summer, "The Problem" as he is aptly nicknamed, was released after serving a month in prison stemming from behavior surrounding an assault and robbery charge, which were later dismissed.